this week was the week for us to present our simulated teaching. My group was the second group to present the simulated teaching..and thankfully everything went as what we had planned.. Other group had also presented their simulated teaching and at the end of every simulated teaching we were to give comments on how to improve the teaching or the activities done. hi...we meet again..just want to to share what my friends and I have done during this 3 rd week class. .honestly we were really enjoying ourselves during this science class. Sir fauzi, our lecturers had been very sporting and 'sempoi' and we really2 like his style...hu3..
Ok..for this 3rd week class, we were assigned to do lesson plan and the teaching activities will need to be intergrated with the use of the technology. Sir Fauzi had provide several Cd roms consist of science activities that can be done during the Teaching and Learning sessions. we were given the opportunity to choose either we wanted to use the Cd roms or we can use any sofwares in the net for our lesson plan activities. 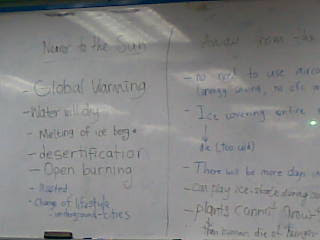 for the lesson plan, we had discussed together within our group and we met with a consensus that we want to download videos from the internet and use it to teach the students on "Animal life cycle". 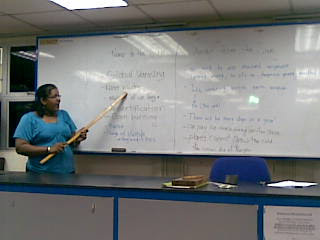 the lesson plan had been approved by Sir Fauzi and we had prepared materials and teaching aids for our lesson plan. 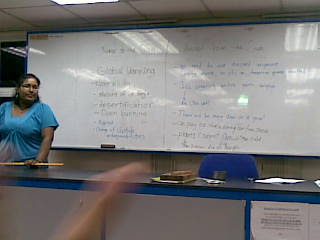 Sir FAuzi had assigned us to do simulated teaching infront of the class based on the lesson plan that we had discussed. Its been a while i did not updated this blog. i really want to update it, but due to work loads, I was a bit late..hu3.. The class handled by sir Fauzi was very very very fun..seriously.. He is so 'sempoi' and he made me fall in love with his subject. I really enjoyed his class compared to other subject.. Well, hopefully, he will continued teaching us until the end of the semester..he :P..
by permission from Magna Publications, Inc., Madison, Wis.
Principles of Accounting has the reputation of being a "hard and boring" course. It is difficult to motivate students to invest the time and effort necessary to succeed in the course. To meet this challenge, we have assembled a list of eight simple rules for keeping students focused and motivated. These rules are not original, and they aren't just for those of us who teach accounting classes. Indeed, most of these time-honored suggestions apply to any course students find hard and boring, and we think that makes them broadly applicable. Rule 1: Emphasize the most critical concepts continuously. Reiterate these concepts in lectures and assignments throughout the course. Include questions relating to these critical subjects on every exam, thus rewarding students for learning, retaining, and, hopefully, applying this knowledge in a variety of contexts. 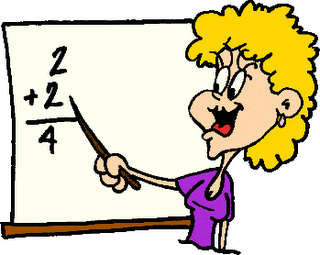 Rule 2: Provide students with a "visual aid" when possible to explain abstract concepts. A significant proportion of today's students are visual learners. For these students, a simple diagram or flowchart truly can be more valuable than a thousand words in a text or a lecture. Rule 3: Rely on logic when applicable. Point out to students which information is merely "fact" that must be memorized and which course material is based upon "logic." Show students how to employ logical thinking to learn and retain new information. For example, in the double-entry bookkeeping system, "debits" equal "credits," and debit entries cause assets to increase. These are "facts" or features of the system; they are not based on logic. 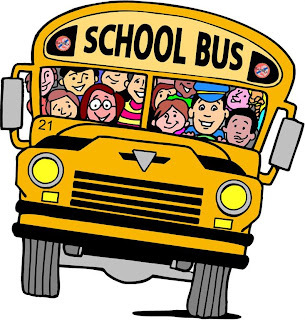 However, once the student accepts the system, logic can be used to operate within the system. Continuing the example, if debit entries increase assets, it is logical that credit entries will cause assets to decrease. Rule 4: Use in-class activities to reinforce newly presented material. After a new concept or subject has been presented via text reading, lecture, or class discussion, allow the students to put the concept into action by completing an in-class assignment. These assignments can be short, but they must be developed to ensure that the students understand the critical concepts underlying the new material. Typically, the most learning takes place when the students are permitted to work in small groups, to refer to their text and notes, and to ask questions of the instructor while completing the assignment. If these in-class assignments are part of the course grading scheme, class attendance also improves. Rule 5: Help students create a "link" when teaching something new. If the student can "link" the new material to something already learned, the odds of learning the new material are greatly increased. Examples of possible links include: prior material learned in this course (e.g., the critical concepts described in Rule 1), material learned in prerequisite courses, and "real-life" experiences of the students outside the classroom. Rule 6: Recognize the importance of vocabulary in a course. Students often struggle with new vocabulary in many courses, especially introductory ones. To succeed in these courses, students must become comfortable with the new terminology. As subjects are presented, new and/or confusing terms should be identified and introduced to the students. Present "real-world" definitions and alternative terminology, in addition to textbook definitions. One way to help students assimilate the course vocabulary is to create a "living" glossary on the instructor's website where new terminology is added, explained, and illustrated throughout the course. Rule 7: Treat students with respect. Patronizing behavior may be expected in primary school teachers, and :drill sergeant" strategies may be effective in military book camps. However, most college student will not respond well to these techniques. Give students their dignity, and they will give you their best efforts. Rule 8: Hold students to a high standard. If students are not required to maintain a specified level of learning and performance, only the most highly motivated students will devote the time and effort necessary to learn. In contrast, maintaining high standards not only will motivate student learning, it will also be the source of student feelings of accomplishment when those standards are met. Each of these rules can help motivate even the most lethargic student, but Rule 7 and 8 are the most important. If students are not treated with respect and held to a high standard, scrupulously following the first six rules will have much less impact and might end up being an exercise in futility. raya mode is still on!